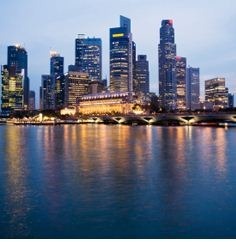 Singapore is known to be the best center of global commerce and trade , and is considered as one of the World’s most friendly business economy. Singapore is a place where we can find diverse cultural and linguistic heritage and a thriving modern economy. Likely, apart from business Singapore is also a hub for Education and every year thousands of International students pursue their education in the best Universities of Singapore. Likely ,the combination of Asian schooling and Western-style practices has attracted many of the students and has made Singapore an educational hub in Asia, and a number of international institutions, such as INSEAD, MIT, University of Chicago amongst other top-ranked global universities, have created physica campuses in Singapore and some had tied with local campuses and this is to serve as a launch pad for their entry into Asia. Given in the articles are procedures to Study in Singapore. Singapore has several different levels of higher education they are institutes of technical education, polytechnics, universities and private institutions where one can pursue their graduate and post graduate programs. Singapore has mainly three local universities of which two are publicly funded and another one is private. Nan yang Technological University and National University of Singapore are public universities and have over 20,000 students and these Universities offer undergraduate and postgraduate degrees with established research facilities. Singapore Management University is a publicly funded private university whose curriculum focuses on business and management courses. In addition to local universities, many of the world’s leading foreign universities have also established their presence in Singapore. These leading foreign universities have either set up a physical campus (institutes of higher learning) or have joint collaborations/programmes with local universities (local tie-ups). First of all you for applying Visa to study in Singapore , you need to have fluency in English. 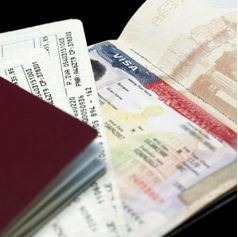 Apart from the English test, the students must have also received their letter of acceptance from the university where they wish to pursue their course of study and then you can start your Visa process, if you are a new applicant you need to apply for the Visa before 2 months at least from the commencement of your course. Screening of applications doesn’t require your presence . Once the applications are Screened the successful applicants can enter into Singapore and can complete other formalities for pursuing Education in the respected Universities or Institutions in Singapore and Usually Student pass will be Issued by them to enter into Singapore before 1 month from the commencement of the Course. For issuing of Student pass, Local person of Singapore is required and local person in the sense of Singapore Citizen or Singapore PR above the age of 21 years or the school registered in Singapore where the student is intended to pursue education. 2 copies of form 16, form V36 and form v39s duly completed and signed by the applicant and local sponsor at the relevant sections and to recent passport size photographs are required, applicants Date of birth Certificate, all your certificates of your education and passport photocopy, personal statement etc., are usually required. For more details you can check the Official Website of Singapore for knowing Visa procedure link given below. So, if you are really interested to pursue your higher studies in abroad then go for Singapore and here you can get quality education at an affordable cost and with good facilities and also many of the international Universities are tied with the local universities in Singapore , so find your choice of course and go for it. Students tips wishes you All the Best for Your higher Education in Singapore.